If you want to get into the marijuana industry, one of the most potentially lucrative ways is to start your marijuana dispensary. However, doing so involves careful consideration of many factors. That includes understanding the laws and regulations governing what can and cannot be sold in your state. But that’s just one factor. Consider the following before getting into the marijuana dispensary business. They cover some of the major questions that need to be answered before getting started. Each state that has legalized marijuana also has very specific regulations around licensing for a dispensary. You will have to apply for a license from a state board that oversees retail sales of marijuana. That will require providing the proper paperwork and information for consideration. Check into this thoroughly – it’s not an area where you can miss any of the details. To start your own marijuana dispensary, consider the costs. Startup costs for a dispensary include the fees paid to apply for a permit. They can run around $5,000 in most states. And that’s just to try to get a license. If you are awarded a license, the fee itself can vary widely depending on the state. In Colorado it is about $3,000, while in Louisiana it’s just $150. New Jersey charges $20,000. Many states also require a substantial amount of capital for dispensary startups. In Nevada, for example, you’ll need $250,000 in liquid assets. There also are grower fees if you want to both cultivate and sell your own marijuana. These costs vary as well. In Connecticut, for example, you’ll need $25,000 just to apply for a grower’s license and $75,000 to pay the annual renewal fee. As with any business, having a solid plan both for the short-term and long-term is key to success. You’ll want to run an analysis and project both costs and revenue to ensure the business will prove profitable. 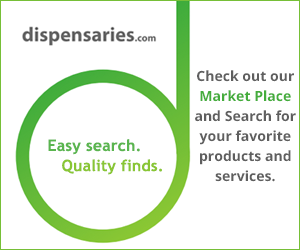 To get the money mentioned above from investors – which you are going to need unless you are independently wealthy – you’ll need a plan that convinces investors you know the business and will make a profit when you start your marijuana dispensary. An insurer. You’ll want to protect what can be a risky business in terms of attempted theft and vandalism. Security. Unless the laws change anytime soon, you’ll also be dealing in a cash-only business that requires a great deal of security to ensure the safety of employees and your money. Lawyer. The complexities surrounding running a marijuana business are numerous because the laws are different in each state and can change quickly. Accountant. You’ll want one from the beginning to manage your finances. It’s a wise move to bring one in beforehand as you begin to raise money for your venture. These are some of the areas you’ll need to address to get started. Issues such as location will likely be governed by local laws. Marketing and sales are something to move into once you get started. While it’s a complex industry, cannabis offers big growth in the coming years. If you’re serious, do your homework, hire professionals and line up investors, you have a better chance to succeed. The payoff will be well worth the effort. ← Has Pot Potency Really Changed Over Time?